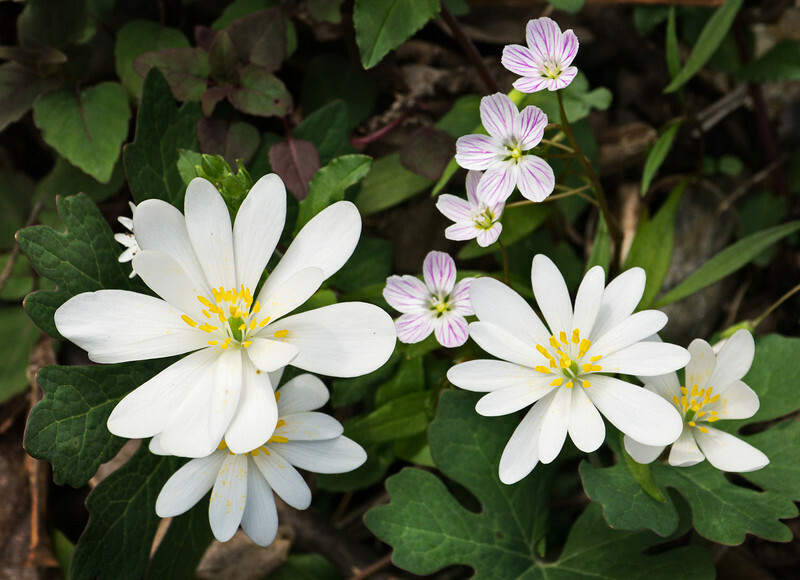 Bloodroot and Spring Beauty This is one of the earliest wildflowers in the Great Smoky Mountains National Park. Look for it in late March along the Porters Creek trail in the Greenbrier section of the park. Lots more Smoky Mountains photos of wildflowers over on my blog site.